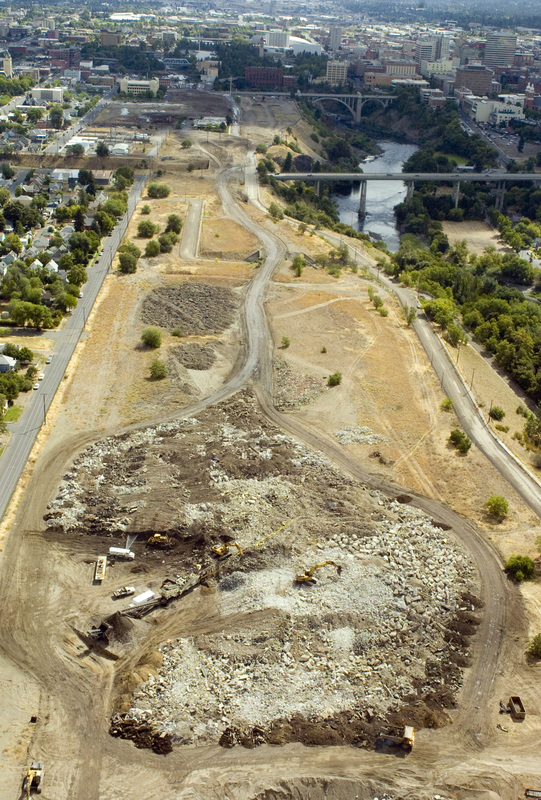 An $8 million legal dispute has erupted over the bill to clean up pollutants at Kendall Yards, the stalled housing and business project along the north bank of the Spokane River in downtown Spokane. The scenario unfolds as property owner Marshall Chesrown may be closing in on a deal with an undisclosed developer that could jump-start work. After a meeting with The Spokesman-Review editorial board Tuesday, Greater Spokane Inc. President Rich Hadley was asked about a possible new developer working on the Kendall Yards project. Hadley said a deal was “imminent” but offered no further details. His comments came after Teresa Brum, the city’s business and development director, said Monday during a City Council meeting: “I think we will probably see a new developer on that soon, and we’re going to get started working with them,” according to a recording of the meeting. She was responding to the criticisms of Councilman Bob Apple, who described special tax districts – including one set up for Kendall Yards – as failures. Asked to elaborate Tuesday, Brum said she did not mean to imply that she knew of a new developer interested in Kendall Yards. The Union Pacific Railroad has filed two legal actions asserting that it has been indemnified from the costs of removing polluted dirt and materials from the site since selling it to Metropolitan Mortgage & Securities 19 years ago. The railroad said in its court filings that Chesrown’s company, River Front Properties LLC, has demanded $8 million to cover its environmental liability. In court papers, Union Pacific said any money that it may be forced to pay River Front must come from the bankruptcy trust established to repay the thousands of Northwest investors who lost money when Metropolitan collapsed. Maggie Lyons, the Metropolitan trustee, said she is discussing the issue with her attorneys. Neither an attorney for Chesrown nor Union Pacific officials were available for comment. Metropolitan failed to follow through on its plans for residential and commercial development on the site before succumbing to bankruptcy in early 2004. In 2005 Chesrown bought the 78 acres for $12.8 million at a Metropolitan auction conducted by U.S. Bankruptcy Judge Patricia Williams. Expectations were high. Chesrown was known for classy developments in Coeur d’Alene, including Black Rock, a high-end golf community overlooking Lake Coeur d’Alene. But the Kendall Yards property was problematic. Coveted by developers, city officials and downtown boosters for its promise as a higher-end housing and retail center in the city’s heart, it also was saddled with environmental liabilities stemming from decades of use as a railroad refueling depot. More than 223,000 tons of contaminated soil has been removed from the site, partly financed with federal grants and low-interest loans. Despite the cleanup, there has been little action on the site, at least until now. Dave Mandyke, the city’s public works director, said a number of people have been on the site conducting due diligence – looking at the records and inspecting the property. “That indicates to us that the property is available and for sale,” he said Tuesday.